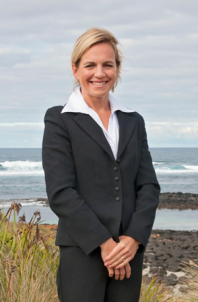 Secure one of Port Fairy's most exclusive and wanted positions... To own a property with the best of both worlds !! A view of the Moyne River and just over the dune to the East Beach. Make this luxuriously appointed multi-level home your retirement home or superb holiday accommodation. Architecturally designed, this 5 Bedroom (Master with ensuite), 2 Bathroom, 2 Living property won't disappoint. Meals times would be a joy with a large sun filled open plan kitchen/ living / dining offering fantastic views. There's plenty of room to entertain on one of the numerous decks and open lawn space. Currently operating as a very popular holiday rental property. Has your dream just come true here? Well don't be left wondering take your next coastal / river dream to a new level !